The warmer-weather trend following the weekend blizzard continues today in Fairfield and the rest of southwestern Connecticut, with sunny skies and temperatures in the mid-40s. The relatively balmy conditions should help with the continuing storm cleanup in advance of possible snow -- potentially, 2 to 4 inches -- on Wednesday night. 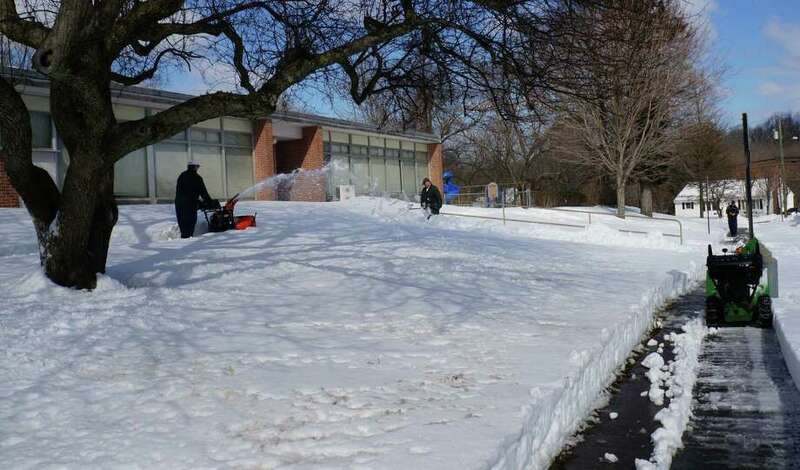 - Fairfield municipal offices, Fairfield Public Library are open. - Fairfield public schools remain closed Tuesday. - The town's trash transfer station and recycling center on One Rod Highway are open. - Fairfield University classes, activities resume 9:30 a.m. Tuesday; 8 a.m. classes cancelled. - Sacred Heart University classes remain cancelled Tuesday; offices reopen.